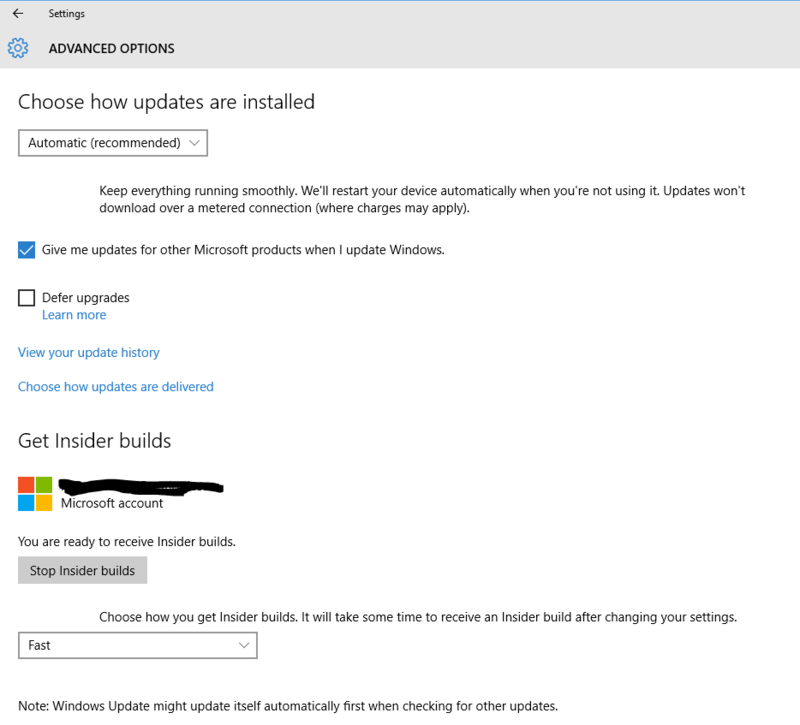 The latest version of Windows Pro Insider Preview Build 10547 has made some changes to the update system that will sometime in a future build give users more information on why Windows 10 Updates are not showing. 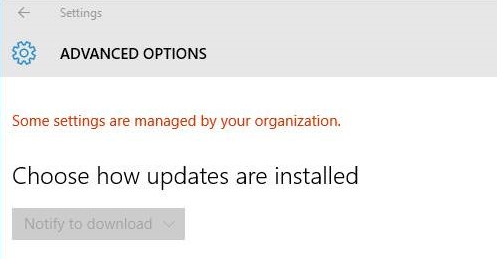 However, when I updated to this new build, some old registry settings were brought over even though the network group policy was set to “not configured” for Windows Update. As you can see, the box is greyed out, and the message “Some settings are managed by your organization” is showing. This wouldn’t normally be cause for concern on a managed domain. But I knew that our Network Group policy was certainly not setting this…. I manually removed the HKEY_LOCAL_MACHINE\SOFTWARE\Policies\Microsoft\Windows\WindowsUpdate\WU folder, and now my Windows Update looks correct.